For your most knightly warrior looks, be sure to accentuate your armoured outfit with the Richard Riveted Oiled Chainmail Coif. 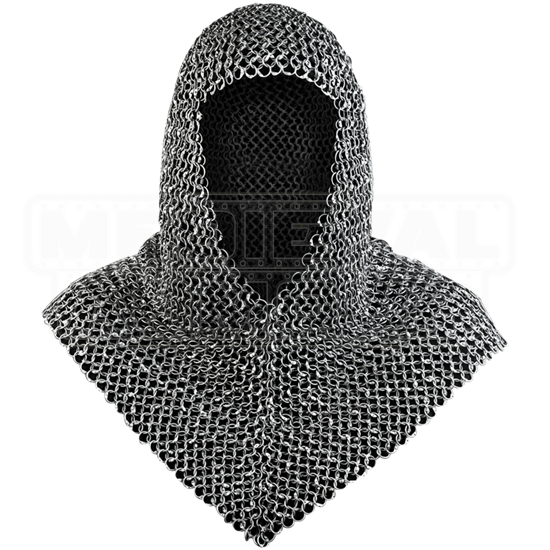 Made out of riveted rings of steel woven in a traditional European 4-in-1 pattern, this medieval chainmail hood covers the head, neck, and shoulders. An excellent way add an important layer of defense to your person, this steel coif can be worn underneath a steel helmet for comprehensive protection. Its fully riveted construction adds endurance to its structure. Providing practical wearability, the wide face opening does not obstruct vision or ventilation. Untreated and uncoated with chemicals or zinc, the chainmail armour piece is coated with oil to help fight rust. 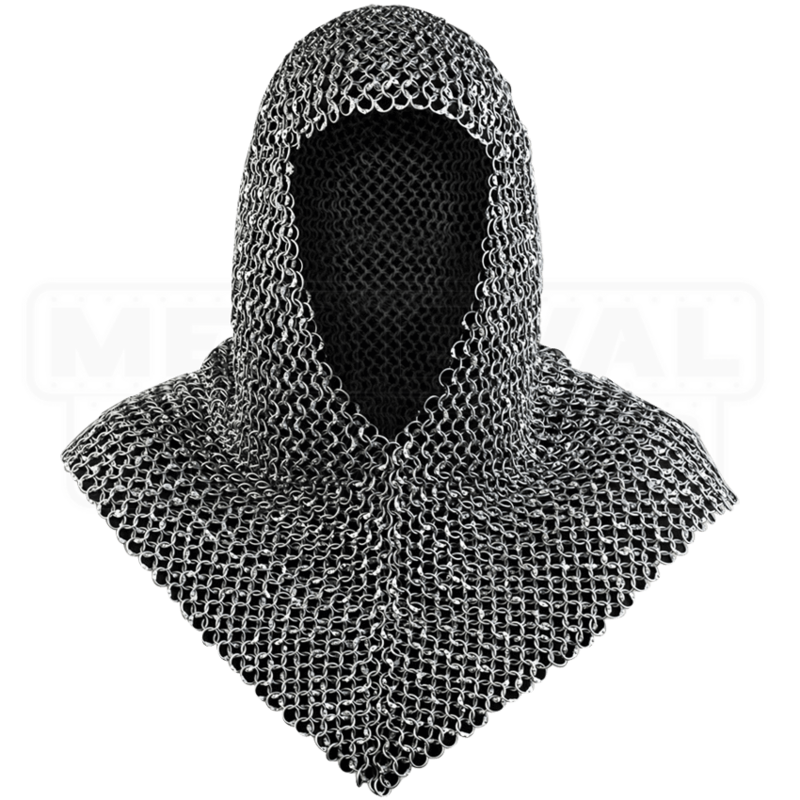 Whether worn for LARP or another costumed event, be sure to wear a padded arming cap under this steel chainmail hood for best safety and comfort.